From yoga on the Great Lawn to scaling a climbing wall at Maggie Daley Park, this is the place to be for a great summer workout. 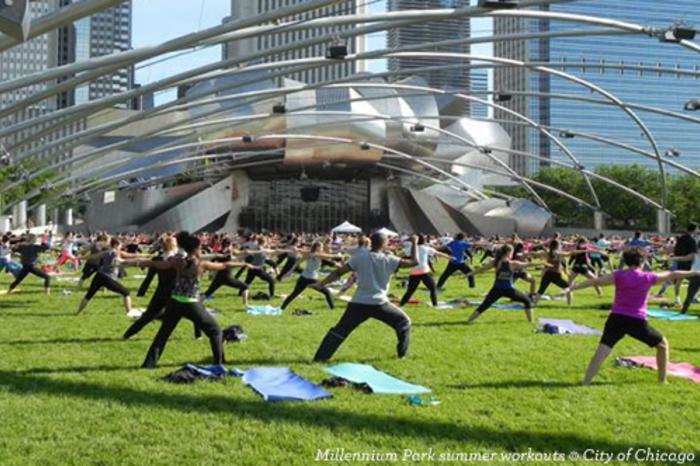 Millennium Park will once again offer FREE workouts this summer, and, honestly, there&apos;s really nothing more inspiring than Jay Pritzker Pavilion glistening in the summer sun to motivate your workouts. Just show up at the Great Lawn and your instructors will guide you through a calorie-burning, muscle-toning, zen-finding routine. These fab free workout sessions are 45 minutes long, with classes in Tai Chi, Yoga, Pilates and Zumba. Check back for the full 2019 schedule. Test your skills at Chicago&apos;s first and only outdoor climbing venue, Maggie Daley Park. 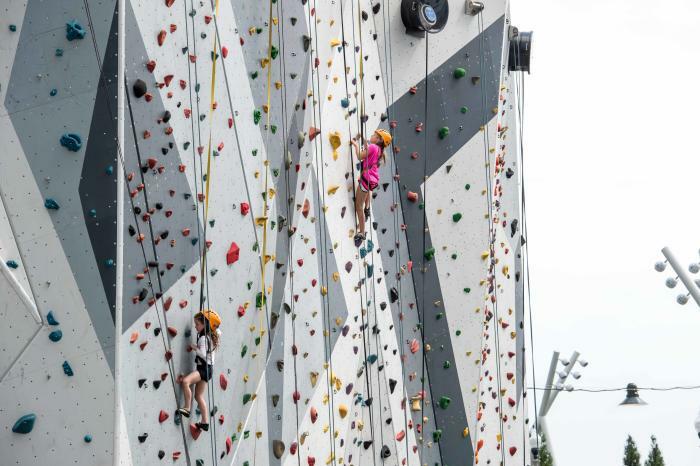 Featuring two rock-climbing structures divided into a beginner and advanced climb, these surfaces can accommodate between 25 and 100 climbers at any given time. Best of all, you get spectacular Chicago skyline views. The climbing wall is open April through October, and works on a first-come-first-served basis. In the summer, the curvy Skating Ribbon becomes a walking and rollerblading path (in-line skate rentals are available). And in winter, the Ribbon becomes an ice-skaters&apos; paradise. 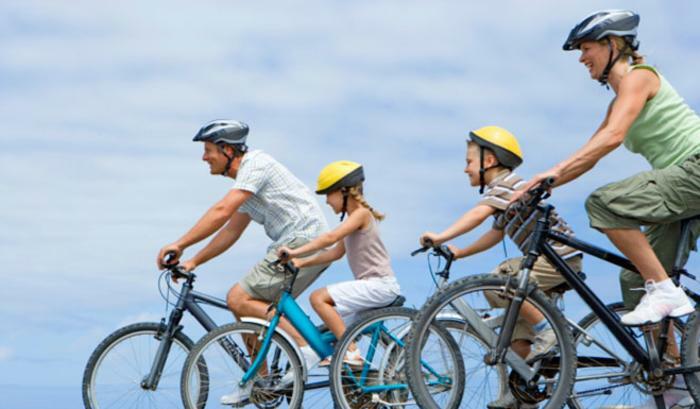 Head to the onsite McDonald’s Cycle Center for bike rentals, and tour the Millennium Park campus at your own pace. This full-service bike commuting facility (the second largest in the country) features showers, lockers, towel service, restrooms, clothing steamers, hairdryers, mechanic services, secure bike parking, and, of course, bicycle rentals. The Center is located at 239 E Randolph St.
Alternatively, grab a Divvy bike. You&apos;ll find Divvy stations located throughout the city, but the closest one to Millennium Park sits conveniently at 33 S Michigan Ave. A single ride of up to 30 minutes costs only $3. Or you can opt for a $15 Explorer Pass, which provides 3 hours of rides within a 24-hour period. Before or after your visit, consider a leisurely ride along Lakefront Trail South or Lakefront Trail North, located just over one block to the east. Tip: Whatever your workout, plan on cooling down with a stroll through the lush Lurie Garden or meditating over art history at the Art Institute of Chicago before your leave.